Looking to get away for a weekend camping trip? 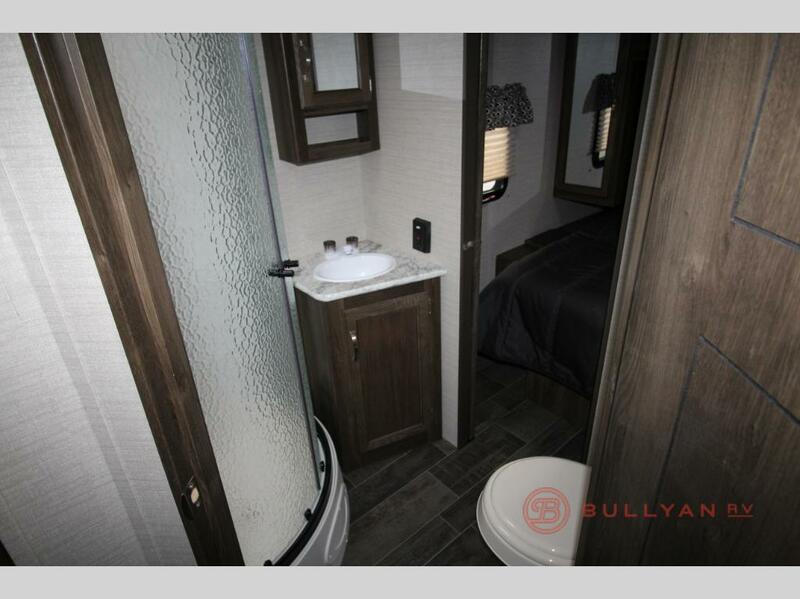 Kick back for some rest and relaxation in the Keystone Premier Ultra-Lite 24RKPR Travel Trailer. 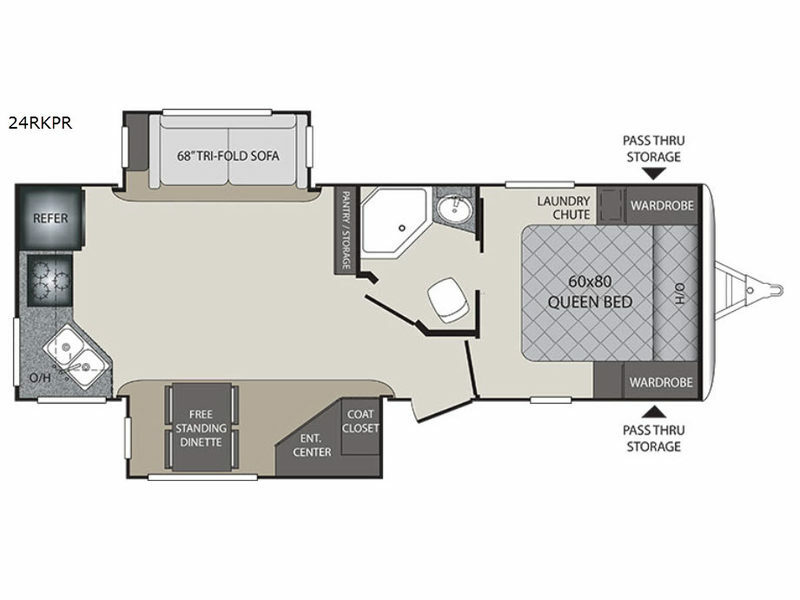 This unique lightweight travel trailer floorplan offers an exceptionally spacious interior in an easy to tow trailer weight and length. 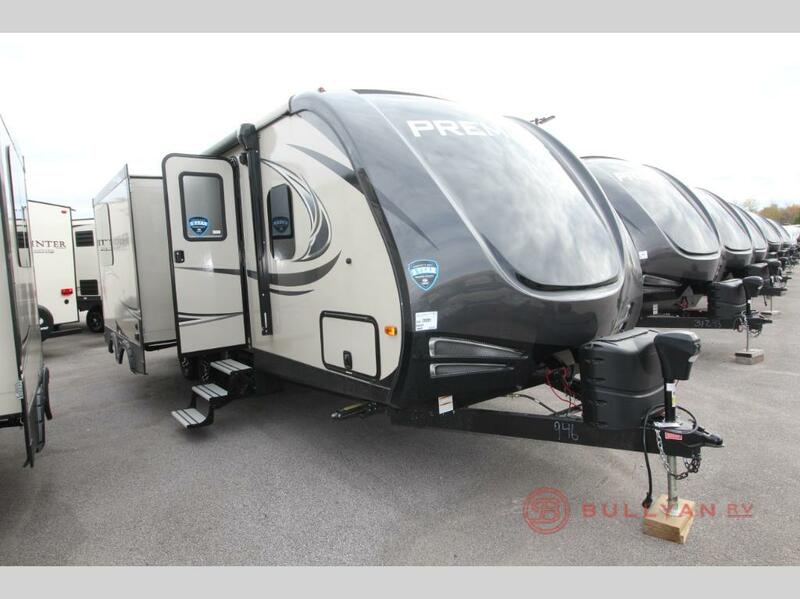 Here, we’ll take a look at what makes the Premier Ultra-Lite 24RKPR model such a great RV for couple’s camping. 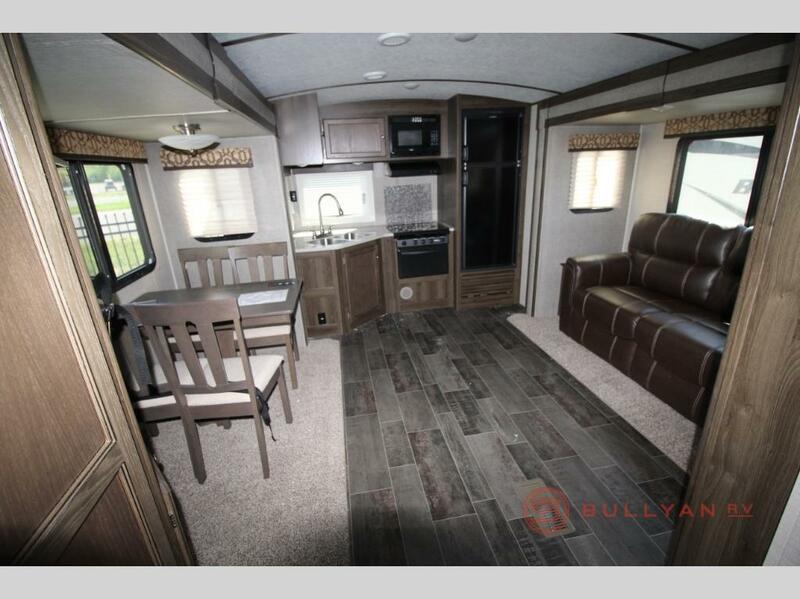 Even though the Keystone Premier 24RKPR is a compact 29′ 6″ length, it feels like a much bigger RV on the inside. The tall 6′ 11″ high vaulted ceilings combined with dual opposing slide out rooms give the living area an added feeling of spaciousness that is hard to beat. This rear kitchen layout allows for plenty of cooking and entertaining space for travelers who like to entertain. The Keystone Premier 24RKPR sleeps up to 4 thanks to the tri-fold sofa which easily transforms into a very comfortable bed for overnight guests. Enjoy watching your favorite shows or the big game on the large 32″ LED TV conveniently located directly opposite the sofa. Enjoy your morning coffee and evening meals in class at the free standing dinette table. The large, frameless windows (included in the premier package) provide excellent views of the scenery outside. Moving toward the back of the coach, you will find a walk through bathroom with a neo-angle shower and access to both the hallway and the bedroom. The private master bedroom contains a queen sized bed, wardrobe storage and even a laundry chute. Moving to the outside, you will notice the the Keystone Premier Ultra-Lite features an aggressive front profile and wide stance Dexter axles designed for increased towability. Other outdoor standard features include slam latch compartment doors with magnetic door catches, power tongue jack and a power LED awning. 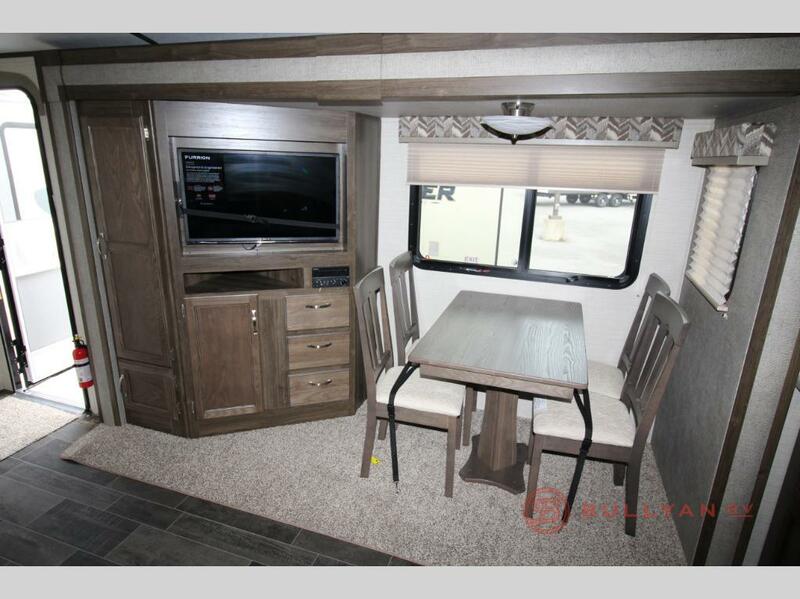 Get away for a day, a week or a month in the spacious Premier 24RKPR for Sale at Bullyan RV. Contact Us for more information or a personal tour of this unique lightweight travel trailer.